For many years, only Kentucky farmers could sell homemade food, leaving it as one of the last states without a basic cottage food law. But that changed in 2018 when the law was amended (HB 263) to make it available to everyone. With this law, home-based processors can make many types of non-perishable foods and sell them directly at local venues, or online. With no sales limit, registration, permit, or required training, it is very easy for residents to use this law to sell their homemade food. Those who want to make higher-risk canned foods, like acidified foods and low-sugar jams, can still do so as a home-based microprocessor under the original law. As of 2019, the state is still working on regulations to clarify some aspects about this law, like which foods are specifically allowed. The new regulations should eventually be provided on this FCS Extension page. You can also look for updates on the website and Facebook page of Kentucky Home Bakers — both resources that were started by the pioneer of this bill (Jennifer Lopez). You can produce standard fruit jams, jellies, preserves, and fruit butters. If you want to sell low-sugar, low-acid, or acidified canned foods (e.g. canned tomatoes, low-sugar jams, green beans, salsa, BBQ sauce, pickles, etc), and you grow the primary ingredient in them (e.g. you grow the tomatoes for canned tomatoes), you can become a home-based microprocessor. You can sell up to 60 dozen eggs per week. For more information about labeling and special requirements, see pages 77 – 85 of the Farmers Market Manual. You can sell up to 150 gallons of honey per year. For more information about labeling and special requirements, see pages 86 – 88 of the Farmers Market Manual. You can sell homemade pet food in Kentucky, but you must register (and pay an annual fee) and follow special labeling requirements. For more information, see page 93 of the Farmers Market Manual. 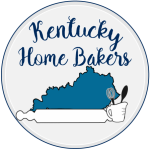 Starting July 14, 2018 everyone will be allowed to be a home-based processor and bake non-potentially hazardous foods from their home kitchens in Kentucky. The law however, did not change for home-based microprocessors. The rules for microprocessors are still the same, and are restricted to farmer’s only. 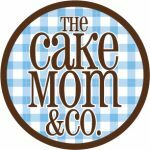 Check out my website KentuckyHomeBakers.com that has all the updates and links to the new law. Thanks! Wow, great job Jennifer! You truly made it happen! I know you had support, of course, but without you, I doubt Kentucky would have a good cottage food law today. Just an update.. HB 263 is passed, signed into law and effective June 1, 2018! Please update your page to spread the exciting news that home bakers are now free to produce without a license, so long as they are labeled appropriately! You can read more here: http://www.lrc.ky.gov/recorddocuments/bill/18RS/HB263/bill.pdf. I have been waiting for this for five years and cannot contain my joy. It’s effective July 14th, 2018.
where would I find the latest law governing articls? Keep an eye on Ky Cottage Laws…. Home Bakers have just walked through the House and are headed to the Senate! Very favourable outcome if (WHEN) this goes all the way! Can you sell canned beef, pork, or chicken? I am currently working to change this so that everyone is allowed to bake in Kentucky. We have social media accounts you can follow and also a petition on Change.org that is up to almost 5,000 supporters. Jennifer I just updated this for you! You been one hard worker for us here in Ky! is it illegal to sale chances to win a home baked cake in ky. If you give the cake away and do not charge for it, that is legal. If you are selling raffle tickets, you may want to contact your local health department for clarification. My first thought would be no since there is money involved. Actually I don’t think it matters whether you charge for food or not. If you are providing food to the public, it is a potential food safety issue, regardless of whether it costs anything. Nonprofits do have an exemption that allows them to hold bake sales, but I do not think that selling chances to win would have been legal. Fortunately, though, Kentucky now allows you to sell your cakes without needing to get around the law! As of today, there are people actively trying to change this restrictive, outdated law.